The photograph of a nebula, an interstellar cloud of dust, is what inspired the fall collection of the Lights of All clothing line. 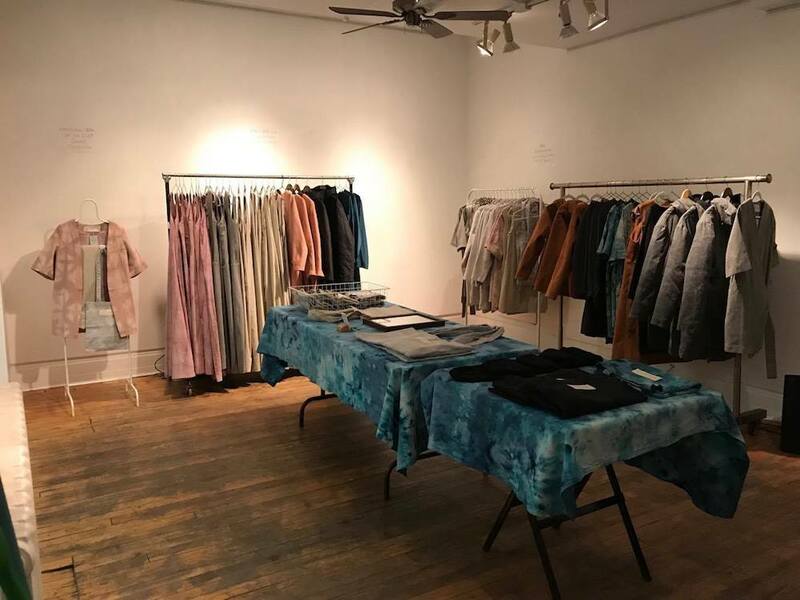 Launched in April by 25-year-old local designer Katia Hagen, Lights of All is Montreal’s first sustainable vegan clothing brand. The entire collection illustrates the seasonal essence of fall. Among the collection’s pieces is the “Envelope” winter coat. This thick, belted garment was named as such because Hagen wanted customers to feel like they were laying in a sleeping bag in the woods, looking up at the stars. The vegan suede hoodie and vest are called “Fawn” because the designer pictured wearers coming across a baby deer. Lights of All’s first pop-up shop ran from Nov. 10 to 12 at Espace Pop on Park Avenue. It was Hagen’s way of getting to know the people who are interested in her brand and to receive first-hand feedback. Hagen is a fashion design graduate from Lasalle College and has interned in New York City at Peter Som, Marchesa and Jason Wu. “When I moved back to Montreal, I realized I didn’t know any vegan, high-quality brands or local designers that are specifically vegan and sustainable,” she said. So Hagen decided to be that designer. Although she had never dreamed of creating her own clothing brand, she put her life savings into Lights of All. “I made all of the patterns, fit it, test it, then I cut and sewed it. Everything is handmade,” she said, adding that all the work was done in the extra bedroom in her apartment. “I also wanted the name to represent that I’m vegan, and ‘of all’ is the essence of light in everybody, the planet, even pigs and cows,” Hagen added. vegan and handmade. Photo by Mia Anhoury. Vegan clothing is made from fabric and materials that are cruelty-and animal-free. No leather, wool, suede, down or silk is used. A little black dress in Hagen’s collection is made of tencel, a fabric made from wood cellulose. “It’s soft like silk but without any cruelty. It’s also very breathable,” she said. A blue tie-dye dress, named “Nebula,” is made from a combination of organic cotton and hemp. This is where the sustainable part of Hagen’s brand comes in—organic cotton is made with less water than regular cotton, and without the use of pesticides or harmful chemicals. Using excess fabric from the brand’s apparel, Hagen also makes tote bags. While creating a particular shade of grey she had envisioned, Hagan realized she enjoyed using fabric dye. “With a hand-dyed piece, it’s super unique for you and a little work of art,” she said. According to Hagen, the dye she uses is eco-friendly because it uses less water than natural dyes and is also better for your skin. To learn more about Lights of All or purchase the latest collection, visit the website.